We thought nothing of it when the choir was facing the congregation. The leader would turn to the people, announce the song, and begin leading everyone in the hymn. If the choir was doing a special number, the leader would turn and direct the choir. The only amplification that was used was the microphone for the leader. The piano and/or organ did not require any augmentation of sound. Eventually, other musicians wanted to participate in the musical part of the service, and we saw trumpets, violins, guitars, trombones, etc. added to the mix. They would generally be seated off the platform in a group near or opposite the piano. This was a great addition to the musical experience of the church. It also allowed those with talents and gifts to serve in ways not yet made available. The louder sound drowned out the voices of the congregation, hurt the ears of some of the elderly, and slowly—very slowly—the people quit singing. Not everyone, to be sure; but many. In the world of sound mixing, we began to experience mainly “muddy sound,” which means there is no clear distinction between music and vocals, treble and bass. Most modern church buildings are not built with acoustics in mind, but with visibility for the stage performance. Therefore, the muddiness is only increased. Let’s consider just the physics of sound for a moment. We know that sound is formed in what we know as a wave. When you speak, there are waves of sound issuing forth from your mouth directly forward in the direction you are facing. Picture, if you will, the ripples made on a quiet lake surface when a stone is thrown into it. The ripples move out in a circle away from the point of impact. Cut that picture in half and you have what could be used to illustrate a sound wave moving forward from the source. Now, do the same thing a little farther away from the original point, and you will have the two ripples moving toward each other. Once they reach each other, the simple beauty of the ripple is lost in the midst of a confusing array of water moving in different directions against itself. Warfare. They are battling against each other. This sort of illustrates what happens when the people on the stage are facing the congregation and both are trying to put forth sound. At best, a person is only able to hear him or herself and a little of the music. There is no blending of the voices that is pleasing to the ears. For those of us who cannot sing, it becomes an impossible endeavor to try to keep up. It is too muddy for the non-musician to make any sense of what is supposed to happen. This is true across the board regardless of age, and is one of the major contributors to the complaints surrounding worship. Use any string of keywords to search about worship of today, and you will find a plethora of complaints about the music. It is true that most of the complaints come from those who only know what they like, so they are complaining about hymns, choruses, modern songs or the lack of any of these. From those who are on the front lines of the music for worship, their complaints generally focus on the lack of participation from the congregation. The Right Way to Worship? Seven Things We Regularly Get Wrong About Worship. Let’s Stop Singing These Ten Worship Songs. How To Change The Bad Habits On Your Worship Team. Theology Test Your Worship Songs. Most of the sources are from places and people of legitimate authority—John Piper, Christianity Today, Leadership Journal, Crosswalk, etc. What I glean from this without reading all the articles (I’ve saved a couple for future reference in this series), is that there is much questioning about what we are doing today as far as what we call worship. 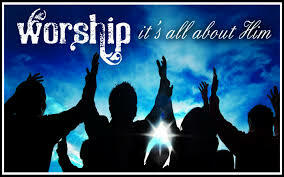 Some will say that the worship wars are about traditional vs. contemporary, about the young vs. the old. I won’t say that is not the case, but it is certainly a simplistic view. I was in a meeting recently when one of the elders of the church said, “I’m tired of singing about me!” That is just one indicator of the problems confronting us in today’s worship culture. There are many more. The lack of singing by the majority of the congregation. The constant barrage of new songs before the others have been learned. The lack of theological substance in the lyrics. These are each an indicator of something amiss, something not quite right. The worshipping community seems to be sick, and in some instances, near death. This should not be, and leaders would do well to begin considering what is happening.